When you read the Bible, don’t check your sense of humor at the door. If you do, you’ll miss some great situational comedy. And this is a classic. 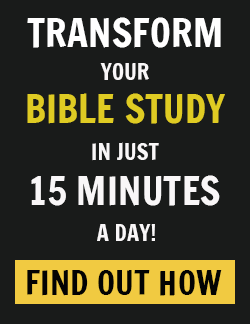 A party hosted by a Pharisee? That’s downright funny! If ever there was an oxymoron, it has to be Pharisee party. Come on, how fun could it have been? I bet they were bored silly, feigning interest in pharisaical small talk about Sabbath law. No deejay. No punch. And definitely no pigs in blankets because that wouldn’t have been kosher! The party favors were probably phylacteries! This has “lame party” written all over it. Then in walks this woman. The Pharisees blushed, but I bet Jesus had a twinkle in His eye. He knew it was about to get as fun as doing some healing on the Sabbath. For the record, Jesus could have healed on any day of the week. I think He deliberately chose the Sabbath because it’d be far more fun if He riled up a few religious folks along the way. And if you follow in His footsteps, you’ll offend some Pharisees as well. Can you imagine the look on the Pharisees’ straitlaced faces when this woman makes her surprise appearance? They start coughing uncontrollably when she breaks open her alabaster jar of perfume. And then she starts wiping Jesus’ feet with her hair. But she definitely made a statement, didn’t she? This act of worship ranks as one of the most beautiful and meaningful statements of faith in all of Scripture. 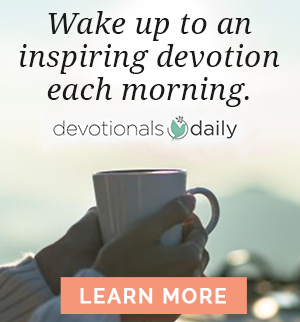 She risked her reputation — what little she had left of it — to anoint Jesus. She knew the Pharisees stoned women like her, but that didn’t keep her from pushing all of her chips to the middle of the table. She used her most precious possession — an alabaster jar of perfume — to make her profession of faith. And this wasn’t a watered-down, knock-off brand she picked up from a street vendor. The alabaster jar of perfume was pure nard, a perennial herb that is harvested in the Himalayas. Half a liter of it, no less! And the jar itself, made of semi-transparent gemstones, was probably a family heirloom. It might have even been her dowry. The alabaster jar represented her past guilt and future hope. It represented both her professional identity and financial security. Plain and simple, it was her most precious possession. How ironic, yet how appropriate, that the perfume used in her profession as a prostitute would become the token of her profession of faith. She anted up by pouring out every last drop at the feet of Jesus. Breaking that bottle was her way of burning the ships. No more masking of the stench of sin with the sweet scent of perfume. No more risqué rendezvous in the wee hours of the night. No more clandestine encounters at discreet places. She walked out of the dark shadow of sin and into the light of the world. There comes a moment when we need to come clean. There comes a moment when we need to unveil the secret shame of sin. There comes a moment when we need to fall full-weight on the grace of God. This is that moment for this woman. 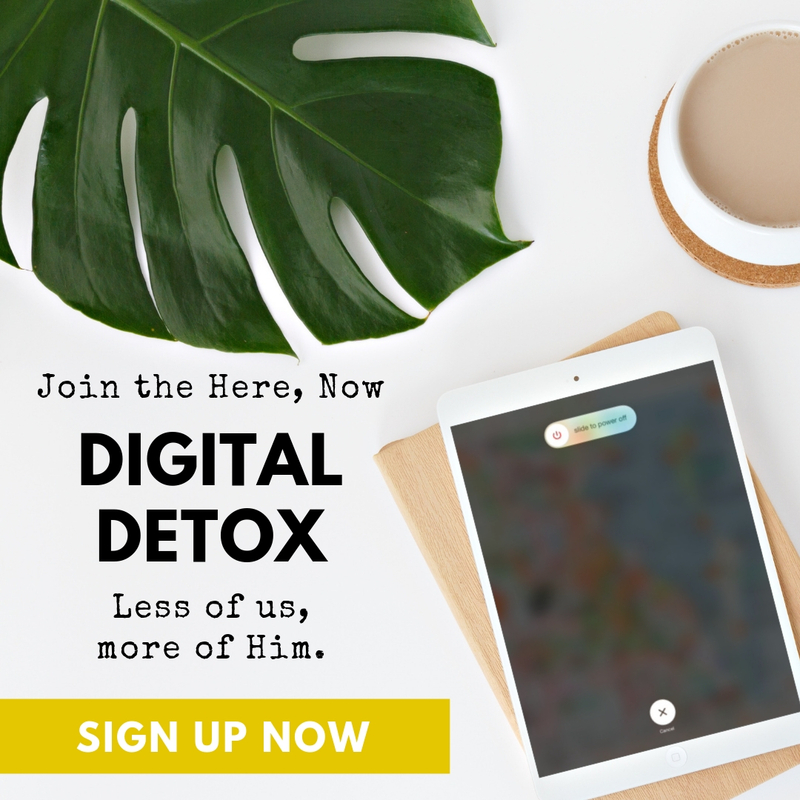 Why do we act as though our sin disqualifies us from the grace of God? That is the only thing that qualifies us! Anything else is a self-righteous attempt to earn God’s grace. You cannot trust God’s grace 99 percent. It’s all or nothing. The problem, as I pointed out earlier, is that we want partial credit for our salvation. We want to be 1 percent of the equation. But if we try to save ourselves, we forfeit the salvation that comes from Jesus Christ alone, by grace through faith. 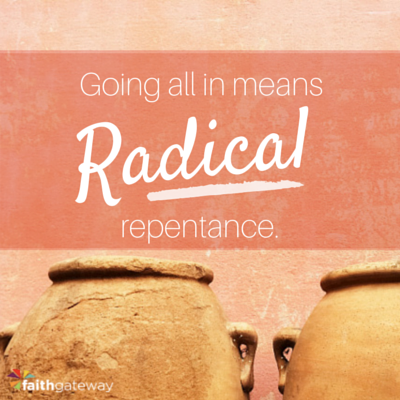 Going all in means radical repentance. You have to fold. It begins by putting all of your cards face up on the table via confession. A halfhearted confession of sin always results in a halfhearted love for Christ. Downplaying sin is downplaying grace. And it dishonors the sacrifice of the Sinless One. 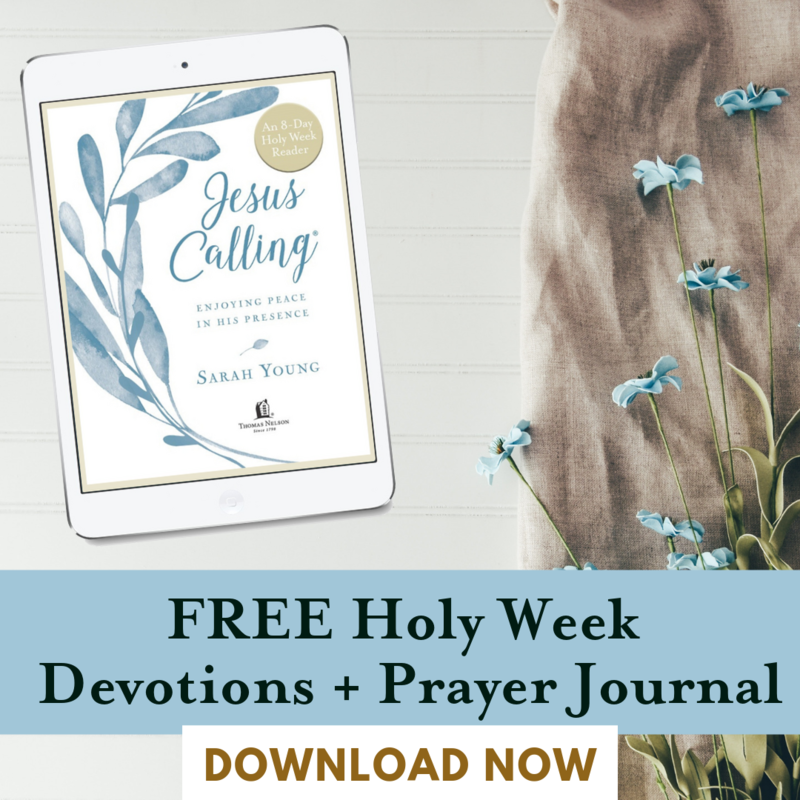 What would happen if we mustered the moral courage of this woman, walked into a room full of self-righteous Pharisees, and revealed our sin unashamedly while anointing Jesus as Lord and Savior? I know exactly what would happen: a revival on earth and a party in heaven.